Ziggy continues to wreak havoc but this time his unchecked impulsiveness takes him over the line and into a lot of trouble. Trouble that spreads and pools and spatters on everyone. – Valchek is pissed and brings in the Feds to assist the Detail. The Feds assist the Detail, and Valchek is pissed. – Just as Stringer's off-brand plan goes into effect, Brother Mouzone arrives to enforce the status quo and so Bodie and crew begin to understand the nature of the new arrangements. Bonus link: Frank Matthews on Wikipedia. Rise of Black Gangsters -Dr. Carl Taylor - In the late 1960's, African American gangsters began to assert their independence from their traditional bosses- La Cosa Nostra. Butchie mentioning 'Pee Wee' Matthews in this episode puts extra weight behind Brianna's insistence about what her family/organization went through to establish their business at the Westside Projects in Philly. At some point they all had to get out from under the thumb of the Mafia, no mean feat. 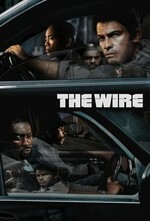 It seems to me that if The Wire draws parallels between the criminal and the police—and it does, intentionally or not—the one in this episode is complicated and fascinating: Ziggy kills his father's (and own) smuggling associate and Prez cold clocks his father-in-law and senior commanding officer Stan Valchek. For the people in the room it is utterly devastating, but for the organizations above and beyond the 'street' players it's just a matter of closing up shop and moving to the next thing. The Greek shuts down and begins to devise an exit strategy from Baltimore. BPD will surely shutter The Detail and move on quickly since big players there have aspirations to Maryland state politics. The ships keep coming. Kima and Beadie's conversations about dealing with family and work sort of fly under the radar of this episode, but it's nice to see someone other than McNulty flubbing their love life. Mouzone is one of my favorite characters. This is partly because I am also a big fan of Harper's, and also because he seems just slightly more plausible than Omar. Oh Ziggy. Devestating scene, and I really just didn't expect it all first time through. Meanwhile Prez punching his father in law is very cathartic (he has the most understanding wife really. I think we actually meet her on one occasion sometime in season 4). And here the detail are just slightly too slow. This will come again in the future, but its kind of devestating here. In a way, this season actually shows the Detail at their most effective. They will catch their original target, and quite a few ancillary people, and, at the very least, supress the Greek (although not for terribly long!) We'll see the consequences of this effectiveness later. Muzone is a great character, and does feel somewhat more real than Omar, he's also pretty careful about when he possesses a firearm.